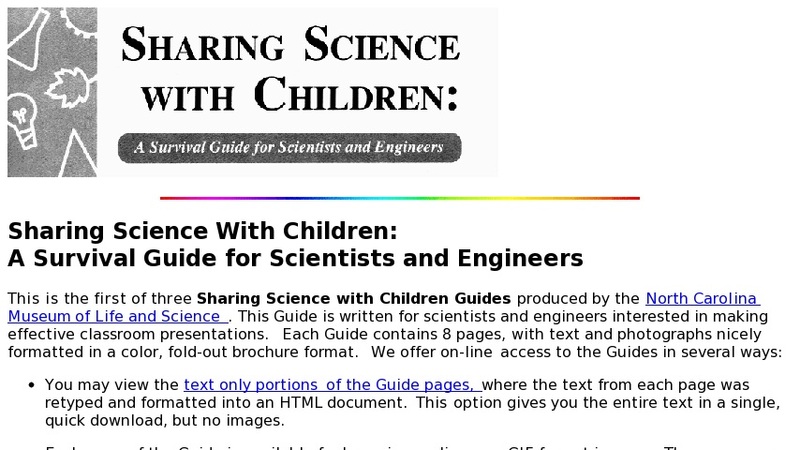 The first of three Sharing Science with Children Guides produced by the North Carolina Museum of Life and Science. This guide is written for scientists and engineers interested in making effective classroom presentations. Teaching tips, a list of typical science topics studied, and a chart describing the thinking and learning capabilities of K-8 students are all included.